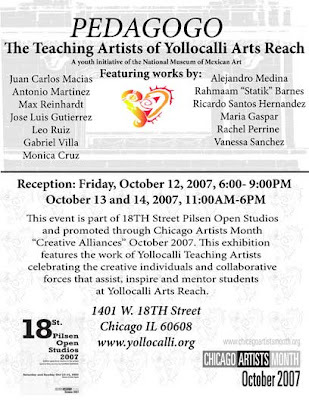 This event is part of 18TH Street Pilsen Open Studios and promoted through Chicago Artists Month “Creative Alliances” October 2007. This exhibition features the work of Yollocalli Teaching Artists celebrating the creative individuals and collaborative forces that assist, inspire and mentor students at Yollocalli Arts Reach. 5th Annual - GRASSROOTS MEDIA FESTIVAL!